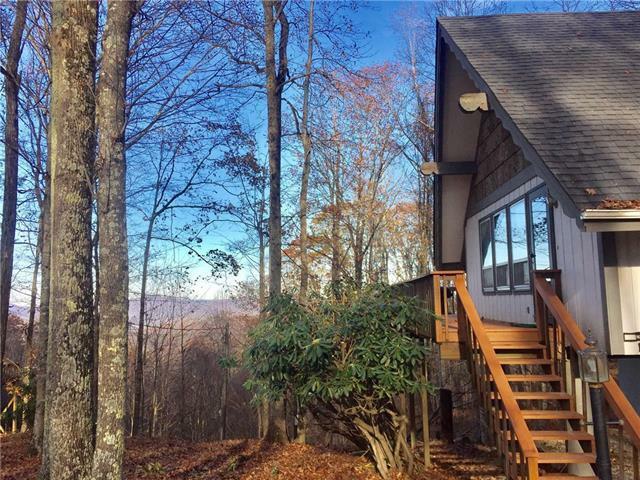 Remodeled, spacious 3BR/2BA chalet with beautiful long range view. Spacious 2 story great room w stone fireplace. A stack W/D on the main level and a full size W/D in the basement. New roof and many other interior updates. All new flooring, stainless appliances, Chopping block counters, stone back splash and beverage cooler. New Roof! Huge side deck to enjoy the view. Master bathroom has new vanity and floors. Fairly level yard, lots of parking and carport for a short car or storage. All bedrooms have two closets. Broker interest. This property has a full country club membership, which includes many amenities such as a pool, golf course, 24 hour fitness center, dining room, and tennis courts. Access to Beech Mountain resort is now year round with skiing, tubing, and ice skating during the winter and lifts for mountain bikers during the summer. $500 POA is for a current optional club membership with a $500 transfer fee paid by buyer.